The light blue represents the presence, hope and potential of the United Nations. Scotland is symbolized by the purple and green of the Scottish thistle. The red and black are reminders of the realities of war and violence and the great need for a new living culture of nonviolence. The white running through the pattern provides a counterbalance by representing peace and light. *A Portion of each Sale is donated to our Local Organizations against Violence! Our expert tartan design service provides all the assistance you need to create your own unique and exclusive plaid, for your business, event, organization, or personal use. 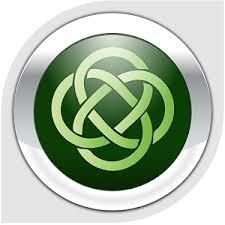 Visit Ryan's Celtic North's profile on Pinterest. Canada Express Shipping available on Checkout. - Offers cannot be combined with any other promotion or offers (unless otherwise specified).